Meebo, the most popular web based chat application launched Voice and Video based chatting on Meebo IM interface. 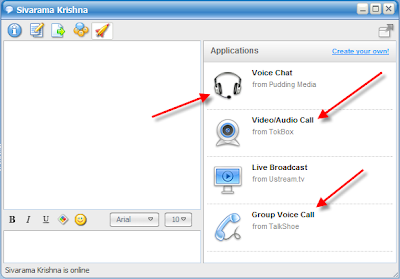 To avail Video and Voice chatting, open a chat window and click on rocket ship icon on the chat tool bar. The window expands and show different options to start Voice and Video chatting conversations.